For more than 30 years, Focus Louisville has offered everyone from newcomers to native Louisvillians a fascinating insider’s look at our community. In 2 1/2 days, you will connect with 50 other executives and civic-minded Louisvillians you might not otherwise cross paths with in a lifetime. It’s all designed to give attendees a more complete view and understanding of Louisville, along with a better sense of how to put leadership into action. John Anderson, SVP Partnership Management, The Learning House, Inc.
• Inspiration through a hands-on learning experience of Louisville’s past, present and potential future. • Exposure to local leaders, issues and opportunities for community leadership. • New friendships, new ideas and new perspectives from a diverse group of people within our community. • Focus Louisville graduates have a stronger application for Ignite Louisville, Leadership Louisville, Bingham Fellows and Encore Louisville. • Unique way to enhance operational training, as well as recognize and reward top talent. • A more personal, more informational way to introduce new employees to all that Louisville has to offer. • Valuable new relationships that can result in new opportunities and added visibility for your organization. Focus Louisville is 2 ½ days – Thursday and Friday, 8-5, Saturday, 8-noon. Classes are comprised of a diverse group including: executives, young professionals, managers, business owners, nonprofit directors and senior business leaders at major corporations. It is often an entry point for new residents of the region and spouses; however, lifelong Louisvillian’s get as much benefit as newcomers. 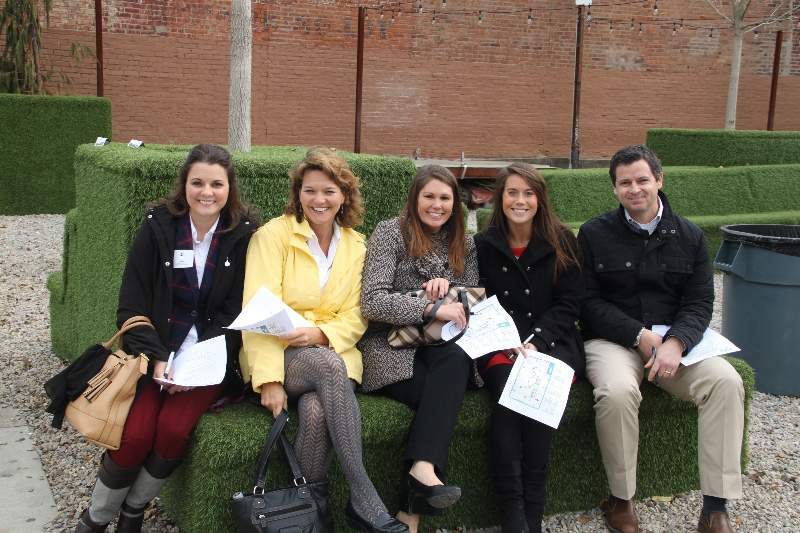 Focus Louisville is the “gateway” experience through which we encourage all leaders to enter, whether you are an established leader seeking more civic engagement or a rising professional ready to take your place as a community leader. Focus Louisville program tuition is $600, which includes meals, transportation, parking and materials. Limited scholarships are available based on need. Have questions about scholarships? Contact Aimee Jewell or call (502) 561-0458 for more information. To request a Focus Louisville scholarship, click here. Scholarships will only be considered before registration. 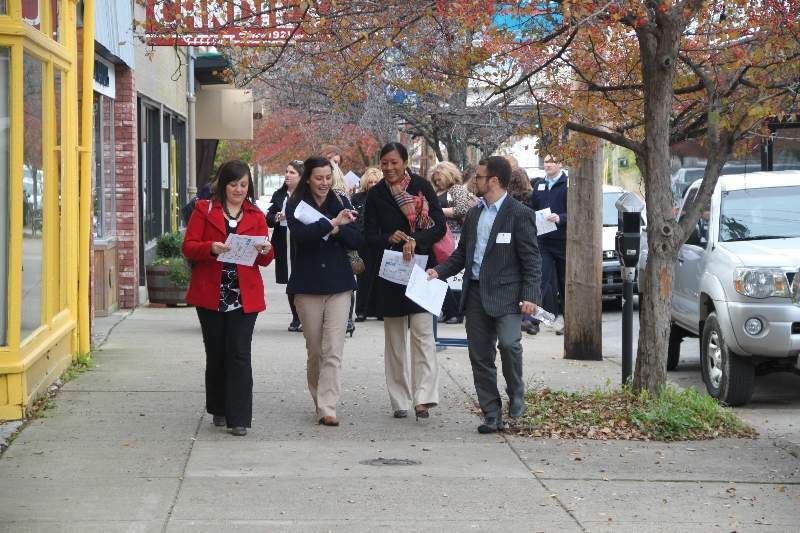 Focus Louisville graduates are invited to join the Leadership Louisville Center as alumni members, with opportunities for on-going engagement. In addition, your participation will strengthen your application for other programs, including Ignite Louisville, Leadership Louisville, Bingham Fellows and our newest program, Encore Louisville (for senior leaders who are retiring or transitioning in their careers). For more information, see Frequently Asked Questions, or contact Aimee Jewell at (502) 561-0458 or email. Know someone who would love Focus Louisville? Days 1 & 2: 8 a.m. - 5 p.m.
Limited scholarships are available based on need. Have questions? Contact Aimee Jewell or call (502) 561-0458 for more information on scholarships. To request a Focus Louisville scholarship, click here. Scholarships will only considered before registration.